The team of dedicated Ayurvedic professionals that carries a combination of youth, experience and dynamism has conceptualized ‘AAS Ayurveda’. The organization aims to treat its patients with the traditional system of Indian Medicines at its Ayurvedic treatment centers. ‘AAS’ stands equal to the word ‘HOPE’ in the English language. We at ‘AAS Ayurveda’ stay committed everyday to transform this hope into the reality of a healthy, happy and disease free life for the people seeks treatment from us. We manufacture and procure Ayurvedic medicines from the best Indian labs, which follow the stringent quality control measures and have the purest and highest quality of medicines. ‘AAS Ayurveda’ strives to relieve the patients from the diseases by treating their root causes. We have a specialization in designing individual treatment protocols for the patients as we focus on the individualistic nature of human beings. Our consultants have been able to successfully recover patients from the medical and surgical conditions, which were perceived to be incurable, by these patients. In a time, where every society/country has to bear the great consequences of chronic/ non-communicable diseases. ‘AAS Ayurveda’ carries a mission to combat this problem and reduce the economic liabilities on the societies through the safe and effective system of Ayurveda, thereby reducing mortality and morbidity happening because of the lifestyle disorders and NCDs. ‘AAS Ayurveda’ forwards with a vision to orient masses towards a direction of living healthy and diseases free life while following the basics principles of health and lifestyle mentioned in the ancient texts of Ayurveda. Dr. Pawan Vashisht is one of the co-founders of ‘AAS Ayurveda’. He has represented the state of Haryana as the member of Central Council of Indian Medicine, Ministry of Health and Family Welfare, Government of India, from the years of 1994 to 2003. Dr. Pawan Vashisht has been practicing Ayurveda for more than 35 years and spearheads the team of ‘AAS Ayurveda’. He heals with ‘Ras-Shastra’ (Ayurvedic formulations of purified minerals, processed metals and herbs); one of the major subjects in Ayurveda. He has exceptional skills in making diagnosis through ‘Naadi Pariksha’. He has been credited with managing and treating patients of Chronic constipation, Dermatological disorders, Diabetes, Hemiplagia, Hypertension, Hyperthyroidism Kidney stones, Parkinson’s disease, Obesity, and other Life style disorders. He has received the accolade of Ayurvedic Punarwasu, for his services in the field of Ayurveda and carries a great wisdom on this ancient science of life. He freuqently gives radio talks on health and also writes for Ayurvedic magazines. Dr. Bhupesh Vashisht is a management professional and a key driver behind the genesis of ‘AAS Ayurveda’. His healthcare management background gives him a deep understanding of Indian healthcare systems, challenges it faces and how these gaps can be filled with the help of indigenous system of medicine which remained neglected until the last decade. 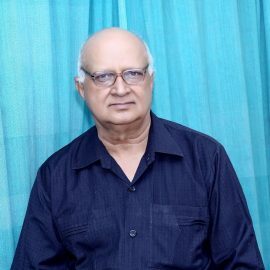 He has worked with reputed Indian and international organizations like FICCI (Federation of Indian Chambers of Commerce and Industry), GIZ (German Corporation for International Cooperation) and ILO (International Labour Organization) and the exposure of various healthcare projects helped him to possess the knowledge in the domains of Pharmaceutical Management, Micro Insurance, Healthcare Financing, Healthcare IT and Project Management. 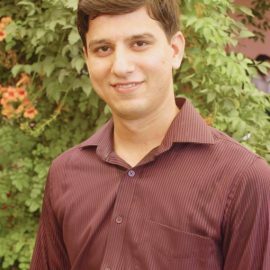 Dr. Bhupesh is an avid reader, diet consultant, fitness enthusiast and writes blogs for AAS Ayurveda. 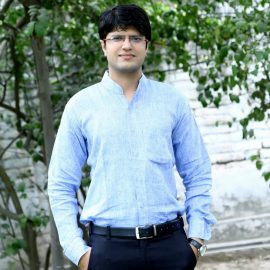 Vikas Kumar Sharma is an information technology professional and a geek who loves to amalgamate ideas and innovations with technology. Vikas is a successful entrepreneur and a team leader in various technology projects in the domains ranging from IT, networking and healthcare, his commitment to carry forward the vision and mission of 'AAS Ayurveda' is visible at every little step we do at our organisation. Vikas has a deep proclivity to serve in the domain of healthcare and this makes him an indispensable member of the team. He is a thinker, believer, doer, and meditator when it comes to his work and someone who always stays motivated to provide out of box solutions to make things look easily doable. Vikas carries the zeal which has helped us greatly at 'AAS Ayurveda' to create Healthy Journey for our patients and seekers of great health.